Do you have major buyer’s remorse after buying a timeshare? Are you tired of making monthly payments and getting nothing in return? Do you spend your nights wondering how to get rid of a timeshare instead of sleeping? Is your timeshare having a negative impact on your mental and physical health? Do you spend more time worrying about the timeshare exit team cost than you do enjoy your life? If you answered yes to any of these questions, you need to do a timeshare cancellation with our timeshare exit team. We take care of everything so that you can get your life back. Read on to learn more about getting rid of your timeshare without losing your hair, money, or too much sleep. In a moment of vacation weakness, you succumbed to a timeshare salesman. You said yes to whatever free incentive he was offering in exchange for a short 90 minutes of your time. This 90 minutes turned out to be a high-pressure timeshare presentation. You thought you would be able to resist but between the extra free incentives for buying, the free food, and the complimentary cocktails you gave in and signed on the dotted line. After buying your timeshare, you may have felt embarrassed. You could not believe that fell for a timeshare sales pitch. You didn’t want to tell anyone about it. And part of you probably hoped that your gut feeling would be wrong. Maybe you would end up loving your timeshare. Maybe it really would enrich your life and give you more freedom to go on vacation. You decided to give it a try and did not cancel during your rescission period. Now the luster has worn completely off, and you realize that your timeshare was a huge mistake. You are left wondering how to get rid of a timeshare because you are sick and tired of making your high monthly payments. You end up struggling to make ends meet each month because of the high-interest rates and annual maintenance fees. It wouldn’t be so bad except that you can’t even really use your timeshare. Booking premiums and limited availability mean that you have to schedule your reservations years in advance for in-demand locations like Hawaii or Cancun, assuming you even have enough points to go there. For many people, it is difficult to know when they will have vacation time that far in advance, making scheduling it difficult. This can lead many consumers frustrated and desperately wondering how to get rid of a timeshare. If you are in this situation, you may decide to call the timeshare company. I cannot stress to you enough how huge of a mistake this is. Our timeshare exit team hears horror stories of how people are treated when they call the timeshare company trying to get out of their timeshare. You may be put on hold for an hour or longer, transferred from department to department, threatened with legal action. After you call, it is likely that you will feel that your situation is hopeless. It is not hopeless. With the right experts on your side, it is possible to get a timeshare cancellation. Here at Timeshare Cancel Center, we specialize in helping our customers figure out how to get rid of a timeshare by doing a timeshare cancellation. We are so confident that we can help you, we offer a money back guarantee on all of our timeshare exit services. This means that if we can’t cancel your timeshare, you don’t pay us. 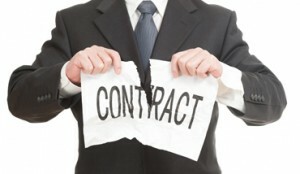 When you cancel your timeshare, you walk away from the contract free and clear. You don’t owe any additional money, and you are not responsible for any outstanding debts or loss. In some cases, we may even be able to help you get you some or all of the money back that you have already paid to the timeshare company. Here at Timeshare Cancel Center, we are the real deal. We give you an outline of our timeshare exit team cost and explain the cancellation process right up front. We don’t want there to be any surprises or hidden fees. We are not a timeshare resale scam, we are the real deal. Call us today for a complimentary timeshare exit team review of your timeshare contract. We will help you figure out how to get rid of a timeshare, and we will be there for you every step of the way. Our timeshare exit team is here for you when you need us, twenty-four hours a day, seven days a week, three hundred and sixty-five days a year. So, what are you waiting for? Call us to get out of your timeshare today!